Sikorsky is challenging the conventional thinking that a rotorcraft cannot be built to exceed 200-kt. cruise speed without sacrificing the abilities that make a helicopter unique and valuable. 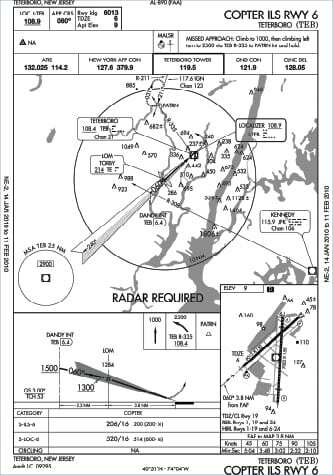 "Today's top cruise speeds of 150-170 kt. are only incrementally faster than they were decades ago" due to the limits of conventional rotor systems, Sikorsky President Stephen Finger said. Efforts to improve speed by developing fixed-/rotary hybrids like the V-22 and BA609 tilt-rotors or jets like the proposed U.S. F-35 Joint Strike Fighter "have tended to look at a takeoff and landing problem and try to fix it," he said. "Vertical flight doesn't define the essence of these aircraft." His company is "firmly convinced that the most productive and effective helicopter is fundamentally a helicopter," Finger told the American Helicopter Society International's annual Forum 61 in Grapevine, Texas June 1. For that reason, Sikorsky is launching a technology demonstration initiative aimed at flying a counter-rotating, coaxial-rotor helicopter with an integrated propulsion system and an aft propulsor at a 250-kt. cruise speed. The aircraft is "not a compromise in helicopter performance," he said. It will be designed to have all the hover, confined-area, rough-field, low-speed maneuvering, nap-of-the-earth and autorotation capabilities of a helicopter. The advantage of counter-rotating, coaxial rotors--particularly at higher speeds--is that the lift from the advancing blade of one rotor offsets the decreasing lift or stall of the blade of the other turning in the opposite direction. Sikorsky engineers had completed preliminary design of the demonstrator before his announcement, Finger said, and their counterparts at Sikorsky's Schweizer Aircraft subsidiary in Elmira, N.Y. were beginning to manufacture the prototype. Sikorsky acquired Schweizer last year in large part because of its ability to do "rapid prototyping" of such projects. With the launch of this project, dubbed the X2 Technology initiative, Finger dubbed Schweizer the "Hawkworks." Les Schweizer will head the project at Schweizer. Sikorsky plans to validate some X2 technologies, such as a fly-by-wire system, on a Schweizer 333 test bed this year. New, rigid, main rotors--The high-speed rotor blade design would take advantage of advances in composite-material design achieved in part through the abandoned U.S. Army RAH-66 Comanche program. Sikorsky officials expect advanced composites to provide rigidity that will allow them to reduce the separation between the coaxial rotor heads in the hub, thus reducing parasitic drag, while ensuring no interference between the blades. Eagle Aviation Technologies is to provide the rotors. An integrated propulsion system--Powered by LHTEC T800-LHT-801 engines developed for the Comanche, the system's transmission would have a greater horsepower-to-weight performance, Finger said, and the ability to seamlessly transfer power from the main rotor to the aft propulsor (an element also based in part on Comanche work). LHTEC will provide the engines and Aero Composites, Inc. will build the six-bladed propulsor. Sikorsky will design the transmission. An active vibration control system--Moog is to provide this. Emphasizing that the X2 demonstrator is not intended as a product itself, he added that it "can represent the first in a new breed of full-spectrum-performance, coaxial-rotor helicopters--manned and unmanned--in sizes and configurations that lift more or go fast." Such aircraft could be used by military or commercial customers that have the need for greater lift or higher speed. The U.S. Air Force has outlined its requirements for the first batch, or Block 0, of its Personnel Recovery Vehicle designed for combat search and rescue. The requirements call for an aircraft (helicopter or tilt-rotor) that can carry a full standard-configured load over a straight-line unrefueled combat radius of 325 nm. It must be self-deployable to a range of 4,000 nm and mission ready within 24 hours of notification. Alternatively, it must be able to fit into a C-5 or C-17 cargo aircraft within three hours of notification and mission ready within three hours of arriving at its destination. Currently announced competitors are the Sikorsky S-92, Team US101 (comprised of Lockheed Martin, Bell and AgustaWestland) and the Bell/Boeing V-22. Boeing is still considering whether or not it wishes to compete against itself by submitting the CH-47 Chinook. The final RFP is expected this month, although the competitors were submitting proposals in the week before the Paris Air Show. Once each competitor has submitted its proposal, it will be notified within two weeks as to when it is to participate in a flight evaluation at Nellis AFB, Nev. The evaluation will include ground and flight testing over a one-week period, involving roughly 15 flight hours. One industry official stated, however, that there are still a lot of hurdles to be cleared before funding can be established and the go-ahead issued for initial work to begin on the Air Force's new aircraft. Eurocopter reported that in May, a production model AS350B3 landed at 29,035 ft. on the summit of Mount Everest, breaking the world record for the highest altitude landing and take-off. This would make the record unbreakable, since Everest is the world's highest mountain, some 785 ft. above K2, the second highest. The AStar helicopter was flown by Eurocopter test pilot Didier Delsalle. However, there is controversy regarding the record setting event, since the Civil Aviation Authority of Nepal (CAAN) has released a statement saying that the aircraft did not have CAAN permission to make the landing on the summit, that it only had permission to make test flights over the Everest region and that it was impossible to land because of the adverse topography at the summit. The aviation authority did say that Delsalle had made an emergency landing some 1,000 meters below the peak due to bad weather. Eurocopter is standing by its statement that the landings did take place and that the AS350 did achieve the World Record performance of high altitude landing and take-off from the summit of Mount Everest on May 14th and 15th, 2005 as per FAI (Fé¤©ration Aé²¯nautique Internationale) standards. It said that the permission given by the CAAN to the Eurocopter team was very clear and did concern Everest High Altitude Heli Flight Test, "including landings and take-offs" as per Eurocopter flight test program given to CAAN in March 2005. Testing for the record breaking attempt began in April last year with test flights including a climb to 29,500 ft. in Istres, France, then "Time to Climb" flights to 3,000 m (9,842 ft.) in 2 min. 21 sec., 6,000 m (19,684 ft.) in 5 min. 6 sec. and 9, 000 m (29,526 ft.) in 9 min. 26 sec. Eurocopter said these flights break previous Time to Climb records held by an AS350 B1 with, respectively, 2 min. 59 sec., 6 min. 55 sec. and 13 min. 52 sec. On April 14 of this year, an experimental flight was made to 10,211 meters (33.500 ft.), and on May 12 an AS350 landed at the South Pass of Mount Everest at 7,925 meters (26,000 ft.), establishing a new altitude landing and take-off record previously held by a Cheetah helicopter - variant of the Lama - at 7,670 m. (25,150 ft.). Offshore-support operators are prodding helicopter manufacturers to upgrade aircraft to help improve the safety and efficiency of their use on overwater routes. At its annual meeting late May in Seville, Spain, the European Helicopter Operators Committee invited executives of helicopter makers to brief its members on what they are doing with product improvements to boost safety and efficiency and discuss what more can be done toward those goals. "It is important that we put our forces together as an industry" to increase the safety and reduce the cost of offshore operations," said Ivar Eie, managing director of Norsk Helikopter and chairman of the committee, whose members include offshore operators in Europe and around the world. Eie said operators are looking for manufacturers to offer more options for monitoring the health of critical aircraft systems like engines, main and tail rotors and flight controls. They also want greater use of composites and take other steps "to reduce the maintenance burden and make maintenance programs as effective as possible." 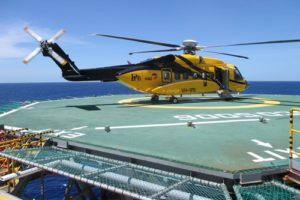 Eie and others said the helicopter industry, and particularly the offshore segment, has a unique opportunity to make advances in safety. That opportunity lies in part in a consensus in that segment that major safety problems could be solved with relatively simple changes to current practices. VXX . . . By Any Other Name? Does Shakespeare's gem, "A rose by any other name would surely smell as sweet," apply to helicopters? Washington is wrestling over what to name the U.S. presidential helicopter that the Team US101 partners Lockheed Martin, AgustaWestland and Bell Helicopter are to provide under the $6.1-billion VXX contract awarded in January. The aircraft designation seems straightforward. VXX was never intended to last, indicating with its x's a development program. Now the Naval Air Systems Command apparently has settled on VH-71 for the 23 aircraft that will make up the fleet that the U.S. Marine Corps' HMX-1 squadron will use to carry American presidents into the mid-21st century. That designation makes spokesmen for the VXX program squirm; they claim its not official. But both Lockheed Martin Vice President Steve Ramsey and the new NavAir VXX program manager, Douglas Islieb, referred to the aircraft as such at the American Helicopter Society International's Forum 61 in early June, and Marine documents also have used that designation. But the VH-71's name poses a unique problem. Previous presidential helicopters largely came from fleets already in service with the U.S. military. The VH-3D flying today, for instance, is called the Sea King, the name the U.S. Navy uses. But the US101 is the first, or at least the first in a long time, to enter the presidential fleet with such a pedigree. That has officials involved with the program torn. What to name the helicopter? Patriot? No, that's a missile. Eagle? No, the F-15's taken that. A desire to keep the fleet nautical by using the name of a sea bird strains the inventory. The names left belong to smaller birds with less virile reputations or big ones with less appealing images. Pelican or albatross wouldn't quite fit, would they. The White House, NavAir and the Marine Corps reportedly have batted several candidate names back and forth, gaining an appreciation for just how difficult a task good branding can be. So we turn to you, Rotor & Wing readers. What do you think is a fitting name for the US101 presidential transport? Let us know at rotorandwing@accessintel.com or, in the United States, 301-354-1839. The Royal Australian Navy has resumed flying its Sea Kings, although under very strict orders following a Sea King crash at Nia Island in the second round of relief operations for Sumutra. There was a loss of nine lives with two survivors. The loss of the use of the Sea Kings had put a heavy load on other RAN squadrons, as the Sea King was the Fleet utilities squadron, used on Supply, Tobruk, Westralia, and the two LPA's. The resumption of flying will help take the load off a sorely stretched naval air, since the Sea Kings did as much as two Sea Hawks while simultaneously taking Sea Hawks or others away from their operational role. It was anticipated that the grounding would give the aircraft a chance for early replacement, with two four-aircraft LPA's now to be replaced by two twelve-aircraft LPA's by 2010. "The resumption of Sea King flying is a significant milestone," said Navy's Maritime Commander Australia, Rear Admiral Rowan Moffitt. "We are confident that the comprehensive technical inspections and system checks conducted over the past two weeks have provided the necessary information to lift the suspension of flying operations of Navy Sea Kings." Meanwhile, the Aircraft Accident Investigation Team (AAIT) continues its thorough investigative work into the Sea King accident of April 2, 2005 at Nias, in Indonesia. The world's first civil tiltrotor aircraft, the Bell/Agusta BA609, has returned to flight status at Bell Helicopter's XworX research and development facility. The aircraft's 1.3-hour flight was the first for the six-to-nine passenger tiltrotor since 2003. The programmed pause in flight testing was for developmental engineering configuration. During its flight in hover mode, the BA609 flew around the pattern at Arlington Municipal Airport at a top speed of 86 knots with 75-degree forward tilt on the outboard nacelles. Bell/Agusta Chief Test Pilot Roy Hopkins and Pietro Venanzi were at the controls. The aircraft hovered forwards, sideways and backwards, demonstrating excellent handling qualities. In airplane mode the BA609 can achieve a top speed of over 300 miles per hour, making it the world's fastest civil vertical lift aircraft. During flight expansion over the course of the next month the BA609 will transition into airplane mode. "The enormous success of today's flight clearly demonstrates we are ready for full tilt on the 609," declared Bell/Agusta Engineering Vice President Jack Gallagher. Helicopter makers were busy at the Paris Air Show, booking orders, promoting new aircraft and occasionally wrestling with each other over current aircraft competitions. Sikorsky grabbed the headlines with a record commercial order from Offshore Logistics, Inc, for 35 S-76C++ helicopters. In addition to those firm orders, Offshore Logistics took options on 24 more aircraft, either the S-76C++ or the S-76D that Sikorsky is developing. Sikorsky said the order is in addition to a 2003 order Offshore Logistics placed for 12 S-76s. The aircraft, which Offshore Logistics will use for offshore support around the world, are scheduled for delivery starting late this year. Twenty will be delivered next year and in 2007, with the rest due for delivery through 2012. While Offshore Logistics has the option to trade in some S-76s for the new orders, company officials said the new aircraft will likely be used to expand their fleet, not replace existing helicopters. In addition, Norsk Helikopters, which is partly owned by Offshore Logistics, ordered three more S-92s. On Feb. 21, 2005 Norsk became the first European offshore oil S-92 operator. 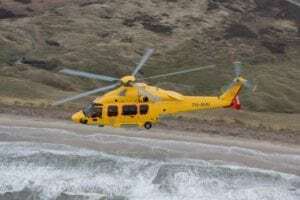 Its first two helicopters have carried more than 20,000 passengers and accumulated 1,000 flight hours flying in the harsh operating conditions of the North Sea. Norsk Managing Director Ivar Eie said those aircraft are operating at about 2,100 hr. a year each. The three new S-92s are projected to each fly 2,500 hr. a year. AgustaWestland marked EASA certification of its new Grand, a stretched version of the A109 Power, for IFR single pilot operation with delivery of the first Grand helicopter to Graham Roach of the United Kingdom. AgustaWestland bills the Grand as "an intermediate twin with light twin economics." The Grand has a maximum take-off weight of 7,000 lb. and is powered by two 815-shp. Pratt & Whitney PW207C turboshaft engines. The manufacturer also posted orders for one VIP configured VIP Grand each from the South African company Baxter Air and South African entrepreneur David Mostert. The company said total orders for the Grand exceed 50 units. AgustaWestland and its partner Kanematsu Corp. said the Japanese National Police Agency has ordered three A109 Powers, which are to be deployed to local police agencies in Hyogo, Mie and Tokyo. It also announced EASA and FAA certification for an increased internal gross weight of 6,600 lb. (deleted PW206C powered) for the A109 Power, allowing nearly 330 lb. of additional payload. Bell/Agusta Aerospace Company displayed the first AB139 equipped for emergency medical service, which is being operated by the Italian company Airgreen. That company plans to use the aircraft (delete "for") during the 2006 Winter Olympic Games in Torino, Italy. Eurocopter booked orders for four EC135s from the offshore-support operator Era Helicopters, with options on four additional aircraft. At the show, Bristow Helicopters took delivery of its first of two EC225s and placed orders for two more. Bristow said it planned to order four EC155 B1s. Eurocopter also delivered the eighth EC135 to Norwegian Air Ambulance. Honeywell has completed the first untethered free flight of its 13-in. autonomous Micro Air Vehicle surveillance aircraft at the MANTIC test facility near Laguna, N.M. The flight was conducted successfully on June 6. The flight was a major milestone before delivery of the MAV to the Defense Advanced Research Projects Agency and U.S. Army, said Vaughn Fulton, Honeywell Unmanned Aerial Systems program manager. "The air vehicle performed as planned, executing a fully autonomous takeoff, waypoint translations and landing." The MAV is small enough for a foot soldier to carry on his back and is equipped with forward- and downward-looking video cameras that relay information to a remote ground station video terminal. It is designed to be used for reconnaissance, security and target acquisition in open, rolling, complex and urban terrain, providing soldiers with improved situational awareness without exposing them to enemy fire. The camera suite can be configured with either electro-optical cameras for daylight operations, or infrared cameras for night time operations. Developed as part of the DARPA MAV Advanced Concept Technology Demonstration program, the MAV is considered a top contender for the Future Combat Systems (FCS) Class I family of vehicles. Honeywell Aerospace is revamping its organization, cutting thousands of jobs and focusing the remaining workers in three groups divided by the markets they serve. The company previously has split operating units by the products they build and support, such as avionics and powerplants and accessories. Effective July 5, the unit's operations will be divided into one group focused on major and regional airlines, one on defense and space and one on business and general aviation. The goal of the reorganization is to build a structure "that focuses more on customers," said Honeywell Aerospace President and CEO Rob Gillette. The move is expected to result in elimination of more than 2,000 jobs at Honeywell. The change comes as Honeywell is refocusing on its prospects in the helicopter market. Earlier this year, for instance, Honeywell won a stiff competition to provide the powerplant for Bell Helicopter's entrant 407X entrant in the U.S. Army's competition for a new Armed Reconnaissance Helicopter. new 429 twin-engine aircraft. Honeywell won that bid with a proposal for a new engine, the HTS900. Two of the 900-shp.-category engine currently are running on a test stand at Honeywell's Phoenix facility. They have accumulated more than 300 hr. of ground test time. A third engine is scheduled to join the test program. In developing the HTS900, Honeywell said it is combining advanced compressor and engine control technologies developed for its LTS-101 and the T800 engine that Honeywell developed with Rolls-Royce for the canceled Army Comanche program. Bell and Honeywell want to achieve FAA certification of the HTS900 by the fourth quarter of this year. In addition, Honeywell is developing powerplants to satisfy U.S. and international requirements for new fleets of heavy-lift helicopters to succeed the Sikorsky MH-53E. The U.S. Army is expected to make a decision this month on the manufacturer of its Armed Reconnaissance Helicopter. Initially scheduled in the RFP for an "expected or approximated date of June 6," the announcement was pushed back to follow the Defense Acquisition Board meeting on June 23. The ARH program is designed to replace the Army's OH-58D Kiowa Warrior fleet and improve the service's capability to fight dispersed forces in urban environments. The RFP calls for an initial order of 368 helicopters, to be delivered between fiscal years 2006 and 2011. The two contenders are Bell Helicopter, offering an upgraded Bell 407, a follow-on to the 206/OH-58, and Boeing with the MD Helicopter A/MH-6, a successor to the OH-6. Although a demonstrator aircraft was not required by the RFP, Bell announced the first flight of an ARH demonstrator on June 2 at the company's XworX research and development facility in Arlington, Texas. The demonstrator aircraft is a converted Bell 407 redesigned with some, but not all, of the requirements outlined in the Army's RFP. The initial flight testing included three flights with a total flight time of 1.5 hr. The flights were designed to demonstrate rotor and power train technology, handling qualities, structural dynamics and the flir System. If chosen, the Bell ARH will be completed at the company's Military Aircraft Assembly Center, Amarillo, Texas. Boeing recently announced that in February it bought all intellectual property rights to the design of the A/MH-6 Little Bird from MD Helicopters and is making plans to have a company other than MD build such aircraft if it wins the U.S. Army's armed reconnaissance helicopter competition (R&W, June 2005, Pg. 18). The competition between the two aircraft will, in fact, be a continuation of a 40-year old duel. In 1965 the Hughes OH-6 won a competition over Bell's OH-58 to be the Army's new Light Observation Helicopter (LOH) for the rapidly escalating Vietnam war. In 1968, the Army was ordered to reopen the competition, with Bell coming out the winner. The British Army has declared its first Apache regiment fully operational following the completion of a major training exercise. The Army said its 9 Regiment Army Air Corps, 16 Air Assault Brigade, is now fully trained, tested, exercised and available for operations. Adam Ingram, Minister for the Armed Forces, said "The Apache Attack Helicopter is a formidable fighting platform that will improve the Army's ability to conduct the hard-hitting land operations of the future. But the introduction of a full Apache Regiment means far more than the provision of a new weapons platform. The successful completion of this exercise, in which the Apache was integrated with infantry artillery and engineers within 16 Air Assault Brigade, represents the arrival of the Army's air maneuver capability." Ingram also announced the award of two new contracts worth over ?300 million ($546 million) to AgustaWestland to enhance the Apache Mk1's night vision capability and provide a new four-year support solution for the helicopter. The first is a ?194 million ($355 million) contract to upgrade the Apache's AH MK1 sighting and targeting system, or M-TADS/PNVS for Modernized Target Acquisition Designation Sight/Pilot Night Vision Sensor. This system was developed by Lockheed Martin and Boeing for the U.S. Army's Apaches, but will be upgraded for the British Apaches by AgustaWestland. Flight trials for the upgraded M-TADS/PNVS system are scheduled to begin in 2007, with entry into the fleet in January 2009 and retrofitting of the entire fleet of 67 aircraft to be completed by the end of 2010. Boeing Co. will give Northstar Aerospace Inc. $500,000 in funding to continue developing a new-gear solution for a transmission technology which it expects to use in the AH-64 Apache multi-role combat helicopter. Northstar said it will use the funding for its manufacturing, tooling, and vendor development for the application of Face Gear technology. It said the program is the first application of this technology. The funding secures up to five development positions at Northstar's Milton, Ont. facility. Northstar Aerospace makes flight critical gears and transmissions. Aviation Specialties Unlimited, Inc. has received Supplemental Type Certificates for the installation of a "Supplemental Lighting and Filtration System," which makes the cockpit and medical cabin Night Vision Goggle (NVG) compatible on Bell 222 and Eurocopter BO105 helicopters. The STC for the BO105 has already been applied to three FAR Part 135 operators plus an FAR Part 135 operator flying Bell 222s, with contracts signed for an additional six 222s. ASU has already received STCs for its light and filtration system on six other aircraft types: Agusta 119, Bell 206 series and 407, and Eurocopter AS350B3/B2 and EC135. ASU said that it also has seven pending STCs for other aircraft types, including the EC145. The UAE General Civil Aviation Authority has awarded an Air Operator Certificate to Heli Dubai, a corporate helicopter service based in Dubai and currently offering flights throughout the United Arab Emirates. The AOC was awarded April 12, with the launch officially announced during the Arabian Travel Market held in early May at the World Trade Centre in Dubai. According to UAE Interact news service, future plans for Heli Dubai include further expansion "into the regional and global market, both onshore and offshore, in line with the policy of the Government of Dubai to be a centre of excellence for all aspects of the aviation industry." Heli Dubai currently operates a mixed fleet of Agusta 109E Power Helicopters and Agusta/Bell 412 helicopters. The flagship aircraft is the Agusta A109E Power, configured as a five-passenger, VIP corporate transport aircraft. Two A109E helicopters are operational with two more of the stretched Agusta A109 Grandes on order for delivery in 2006. Heli Dubai is the official aviation service partner for the Jumeirah International group, and the only civil operator allowed to conduct public transport operations to the Burj Al Arab using the Agusta A109 helicopter. The Burj Al Arab hotel is advertised by Dubai as the world's only seven-star hotel, and has a helipad built onto the upper level. The AB412's are undergoing a complete re-design of the main passenger cabin from nine basic seats to an all-business class configuration in a quiet cabin, with eight forward facing seats providing increased leg room for greater comfort and improved passenger viewing. Provision has also been made for in-flight refreshments. The first helicopter will be available for charter in September for the winter season, while the second AB412 will be available at the end of the year. Heli Dubai is planning to acquire at least two more light and medium twin-engine helicopter types for greater mission flexibility. Both the UH-1Y and AH-1Z, the Marine Corps' new utility and attack helicopters, have completed their first shipboard compatibility testing, flying onto and off of the Multipurpose Amphibious Assault Ship USS Bataan. The two aircraft made a total of 267 day and night landings during their first sea trials. Matt Funk, the H-1 lead flight test engineer for sea trial testing said that, "The idea was to verify shipboard compatibility by looking at the aircraft's ability to operate in the maritime environment and during all aspects of shipboard operations. We met all the test objectives we hoped to accomplish." The major flaw in the program, Funk said, was the lack of high wind testing. "The weather was too good. We conducted launch and recovery operations in winds up to 35 kt. over the deck. The only thing preventing testing in higher wind conditions was the lack of higher winds." The sea trial testing included aided and unaided launch and recovery, refueling, shipboard handling with pitching deck, rotor blade folding and unfolding in winds up to 25 kt. and flight deck crew familiarization training. Sikorksy has announced the entry into service of the first S-92s both for the Canadian and North Sea off-shore markets. Cougar Helicopters Inc., a wholly owned subsidiary of the VIH Aviation Group, has taken delivery of its first Sikorsky S-92 helicopter in support of a contract to provide offshore helicopter services to PetroCanada. The new S-92 will be used to transport workers and freight to the Terra Nova oil production field offshore St. John's, Newfoundland and Labrador. Sikorsky noted that the new helicopter will fly offshore workers 185 nm. between St. Johns and the Terra Nova production field in weather conditions that can be extremely hostile, to include gale force winds, fog, rain, snow, airborne icing conditions and floating icebergs. In order to prepare the S-92 for these tough conditions, Cougar will work with PetroCanada and VIH Aerospace Inc. at their facility in St. Johns to integrate several aircraft enhancements unique for the harsh weather operating environment offshore Newfoundland. Cougar General Manager Rick Burt said that Cougar has long been a strong advocate of the S-92 helicopter and plans to capitalize on its attributes such as its enhanced capabilities to fly in reduced visibilities and support more distant drilling and production operations in areas such as the Flemish Pass and Orphan Basin. Cougar flight crews and engineering staff will be conducting Full Flight Simulator (Level D) training at Flight Safety International's newly constructed S-92 training center in West Palm Beach, Florida. In addition to their new S-92, Cougar also flies a fleet of Sikorsky S-61 helicopters. CHC Helikopter has now put two S-92s into revenue service under contract with Norsk Hydro, a major Norwegian oil company. Prior to entering into service, the aircraft underwent modifications including the installment of passenger entertainment systems and additional communications equipment at the CHC maintenance facilities in Stavanger, Norway. The two S-92 helicopter were ordered by CHC early last year to be operated under contract with Norsk Hydro. CHC also has a contract with Statoil for one not yet delivered S-92 helicopter that will be operating out of Kristansund, Norway. This aircraft is scheduled to become operational this summer. 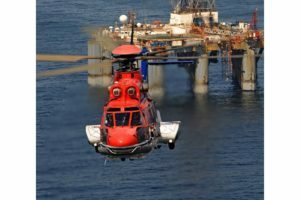 Sikorsky said that it anticipates more S-92 helicopters will begin offshore operations in the North Sea this year. Sikorsky also announced that the Fisheries and Maritime Affairs Department of Xunta de Galicia in Spain has purchased two S-76C+ helicopters. Delivery of both aircraft was scheduled for last month, being shipped to Spain via air freighter. The Xunta de Galicia's search and rescue service provides Coast Guard coverage off northwest Spain. Created in 1990, it was the first of its kind in Spain and the second in Europe. The service in the past had leased its rescue and maritime patrol helicopters, but selected the S-76C+ on April 2, 2004 as the first helicopter it will own. The Xunta's main mission is search and rescue over sea and land, and fisheries surveillance and inspection. Secondary missions include support of emergency medical services, civil protection, security activities and general logistics work. The United Kingdom Air Accident Investigation Branch (AAIB) has published its findings into a crash of an Agusta 109E at a provincial airport in the south of England in March 2004. Since the crash, there has been speculation in the British media, including the prestigious "London Times" that the death of the two men on board was not accidental. 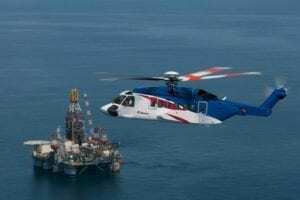 The helicopter was owned by multimillionaire Stephen Curtis, a British lawyer who held the keys to much of Mikhail Khodorksky's vast Menatep Empire (which included the oil giant Yukos) and who took over as Managing Director when Khodorksky was arrested. Khodorksky was found guilty on May 31 this year in Moscow on an array of charges, including fraud and tax evasion, and jailed for nine years. The pilot, 35-year-old Mark Radford, had picked up Curtis in London and was taking him to Bournemouth Airport, 30 miles away from the tycoon's home known as Pennsylvania Castle. The weather deteriorated and by the time the helicopter arrived on final at Bournemouth the cloud base was low. Shortly after establishing contact with the tower the helicopter went into a near vertical dive, killing both on board. The damage was so severe that Curtis and Radford could only be identified by DNA tests. The AAIB report concluded that the pilot probably became disorientated and his limited instrument experience did not equip him to cope with a degraded visual environment. Although Radford had over 3,000 helicopter hours, most of this had been on Robinsons. From December 1999 he had flown only 40 minutes at night and no instrument hours prior to converting on to the A109E. The U.S. Air Force will permanently station a squadron of Global Hawk UAVs on Guam sometime during the 2008/09 timeframe, according to Gen. Paul Hester, air component commander for U.S. Pacific Command. The decision announced in late April followed a full-scale replica demonstration and briefing on the RQ-4A to commanders on Guam last September. Northrop Grumman, manufacturer of the Global Hawk, noted that the UAV was also deployed to Australia in 2001 for a full demonstration tour, and that the lessons learned from that tour "were key in ensuring success of the Global Hawk in the ensuring global war on terrorism." The company also said that the Air Force was looking forward to "enhanced cooperation" with U.S. allies in the Pacific Rim for future Global Hawk endeavers. Hester indicated that the unmanned aircraft would be used as much for anti-terroism and civil defense as military defense, including maritime surveillance of shipping channels in the Western Pacific against arms smuggling, narcotics trafficing and piracy. Hester told defense reporters at a briefing on the Global Hawk that the aircraft "has really a lot of interest for us because of its high alitude, its loiter, its persistence, which allows us with a maritime package on it to be able to look (at) places like the Malacca Straits, and be able to look at the variety of islands and move it around, download that back so we can see that in the common operating picture and share it with our friends. AH-1Z: Has successfully completed sea trials, and is now preparing to go into its final exam with OpEval starting later this summer. The AH-1Z and UH-1Y have now combined for over 3,000 flight test hours. AH-64: The British Army has now completed a field exercise allowing the first of its Apache attack helicopter regiments to go fully operational. The U.S. Army Apache's have received the first of 407 Arrowhead targeting system from Lockheed Martin. The Arrowhead is an advanced forward-looking target acquisition system with night vision sensor to allow pilots to engage the enemy from longer distances with great accuracy. ARH: A decision on the manufacturer of the Army's armed reconnaissance helicopter is expected this month (July). The decision will be between modified versions of the Bell 407 or Boeing produced AH/MH-6 Little Bird. BA609: The BA609 returned to flight status last month, flying for the first time since 2003. It will now continue to expand its flight envelop. Bell 429: Bell now has over 100 preliminary orders for its newest civil light twin, and expects to obtain TCA and FAA certification in early 2007, followed by EASA certification nine months later. First flight is expected early next year. CH-53: Lt. Gen. Michael Hough, deputy commandant for aviation, USMC, stated that the replacement helicopter for the CH-53E does not need special equipment such as a glass cockpits, that it should be just like the CH-53E but with an integrated engine that lasts longer and a new rotor system that easier and cheaper to maintain. It also needs directional infrared countermeasures to protect it. Col. Paul Croisetiere, program manager for the Heavy Lift Replacement (HLR) helicopter is calling for an early decision on the new HLR, stating that the aircraft is a JROC (Joint Requirement Oversight Committee) requirement that is needed today. H-47: The first two MH-47Gs of Lot 2 has now been delivered to the 160th Special Operations Aviation Regiment. Additional MH-47Gs will be delivered at a rate of two a month, with a final tally of 16 to be delivered by the end of the year. The last three MH-47Gs of Lot 1 were delivered in January and February. Lot 3 consisting of 12 aircraft will begin early next year with a delivery rate of two per month. H-60: The MH-60R weapons system has entered Operational Evaluation in mid-May, following completion of the Navy's six-month long developmental test phase, or Technical Evaluation. OpEval is expected to conclude in September. Sikorsky has received a $245 million contract to begin Low-Rate Initial Production on 22 UH-60M helicopters with options on up to eight additional UH-60Ms. PRV: The Air Force has now issued its Draft RFP for a Personnel Recovery Vehicle. UH-1Y: Has completed Sea Trials and is preparing to go into OpEval later this summer. V-22: As of early June V-22 had finished its OpEval phase and was headed for the USS Bataan for sea trials, scheduled to last until the latter part of June. Following a successful completion of the sea trials, all the technical and operational information will be submitted for a final decision in late summer or early fall by the Defense Acquisition Board for a final acquisition decision. HAI President Roy Resavage has announced that he will step down later this year, probably late fall. Resavage informed the Chairman and other members of the Board of Directors of his intention to step down because of continuing health concerns, but will continue in his current capacity until a replacement is identified. He has served as HAI president since taking over from Frank Jensen in 1998. DRS Technologies has named retired Vice Admiral Michael Bowman as executive vice president of the company's Washington operations in Arlington, Va. He has been serving as senior vice president of the company's Washington operations since joining the company in 2001, following his retirement from the U.S. Navy. CJ Systems has realined its Air Medical Services division and appointed Edward R. Marasco to head it as senior vice president. Marasco previously served as the company's vice president, Critical Care Transportation Group. FlightSafety International has promoted John Marino to vice president of government relations. He had most recently served as sales and marketing manager for Asia, based in Beijing, China. He replaces Tom Mahoney, who has moved into marketing as director of special accounts. AIA has named Jana Denning to be director of research and development, a position the AIA has just created charged with "keeping the U.S. at the forefront of aerospace technological advances," AIA said. Denning will work with AIA member companies "to promote cutting-edge technologies as well as make the case for increased R&D investment." Northrop Grumman has appointed Brandon R. "Randy" Belote III to the position of vice president, corporate and international communications, reporting to Rosanne O'Brien, corporate vice president of communications. Belote joined Northrop Grumman in 2001, serving as the company's Washington, DC-based director of corporate and international communications. July 7--NBAA Regional Forum, Norman Y. Mineta San Jose International Airport, San Jose, Calif. Contact: Suzanne Cole, (202) 783-9362; E-mail: scole@nbaa.org; Website: www.nbaa.org/forums. July 20-23--Airborne Law Enforcement Assn. (ALEA) Annual Conference, John Ascuaga's Nugget Resort Hotel, Reno, Nev. Contact: Sherry Hadley, (918) 599-0705; E-mail: shadley@alea.org; Website: www.alea.org. July 26-31--EAA, Oshkosh, Wisc. Contact: 920-426-4800; Website: www.eaa.org. July 29-31--15th Int'l HELIDAYS, Weston-super-Mare, Somerset, England. A public air show displaying European military and civil helicopters. Contact: 44-1934-822524; E-mail: westonsuper@helidays.freeserve.co.uk; Website: www.helidays.freeserve.co.uk. Aug. 15-19--Rotary Wing Technology, Penn State University, The Nittany Lion Inn, State College, Pa. Contact: Dr. Barnes W. McCormick, (814) 863-0602; E-mail: bwmaer@engr.psu.edu; Website: www.outreach.psu.edu/C&I/RotaryWing. Sept. 15--NBAA Regional Forum, Centennial Airport, Denver, Colo. Contact: Suzanne Cole, (202) 783-9362; e-mail: scole@nbaa.org; website: www.nbaa.org/forums. Sept. 16-19--National Guard Assn. of the U.S., Honolulu Convention Center, Honolulu, Hawaii. Contact: 202-789-0031. E-mail: ngaus@ngaus.org. Website: www.ngaus.org. Sept. 19-21--U.S.-European Competition and Workshop on Micro Aerial Vehicles, Elmau Castle, Garmisch-Partenkirchen, Germany. Contact: Brigitte Metz, German Aerospace Center Institute for Aeroelasticity, 49-551-709-2342; Fax: 0049-551-709-2862; Website: www.us-euro-mav.com. Sept. 21-24--Aviation Expo 2005, Bejing, China. Contact: China Promotion Ltd., 852-2511-7427; Fax: 852-2511-9692; Website: cpexhibition.com. Sept. 24-28--International Assn. of Chiefs of Police Annual Conference, Miami Beach Convention Center, Miami, Fla. Contact: Chrissy Hart. (800) 843-4227 ext. 238; E-mail: chart@theiacp.org; Website: www.theiacp.org. Sept. 26-29--AHS Int'l Helicopter Safety Symposium, Omni Mont-Royal Hotel, Montré¡¬, Qué¢¥c. Contact: Kim Smith, (703) 684-6777; Website: www.ihss2005.com. Sept. 27-29-- Helitech 2005, Duxford Imperial War Museum, Cambridge, England. Contact: Sue Bradshaw, 44-208-439-8886; E-mail: sue.bradshaw@spearhead.co.uk; Website: www.helitech.co.uk. Oct. 3-6--American Helicopter Society International Powered Lift Conference, Gaylord Texan Resort, Grapevine, Texas. Contact: Kim Smith, (703) 684-6777; Website: www.vtol.org. Oct. 10-12--Heli-Asia 2005, Shangri-La Hotel, Bangkok, Thailand. Contact: Sam Cader, 44-1628-606979; E-mail: sc@shephard.co.uk; Website: www.shephard.co.uk/heli-asia. Oct. 24-26--Air Medical Transport Conference, Austin, Texas. Austin Convention Center. Contact: Natasha Ross, (703) 836-8732; E-mail: info@aams.org; Website: www.aams.org. Nov. 7-9--2nd Int'l Basic Research Conference on Rotorcraft Technology, Nanjing, China. Contact: Prof. Gao Zheng, 86-25-84892120; E-mail: gaoae@nuaa.edu.cn, or Prof. Daniel Schrage, (404) 894-6257; E-mail: Daniel.Schrage@aerospace.gatech.edu. Nov. 15-17--Heli Power 2005, Sheraton Roma Hotel & Convention Center, Rome, Italy. Contact: Herve Bavazzano (exhibitions), 44-1628-606980; E-mail: hb@shephard.co.uk, or Sam Cader (delegates), 44-1628-606979; E-mail: sc@shephard.co.uk; Website: www.shephard.co.uk/heli-power. Nov 20-24--Dubai Airshow, Dubai, UAE. Contact: Clive Richardson, Fairs & Exhibitions, 44-20-8391-0999; E-mail: clive@fairs-exhibs.com. Website: www.fairs-exhibs.com/airshow05, or www.dubaiairshow.org.